Our Blockchain Primer: Where, When, Why and How? Financial Services – faster, cheaper settlements could save billions of dollars in transaction costs, while improving transparency. Blockchain’s encryption properties allow insurers to securely capture the ownership of assets to be insured. In capital markets, trade and settlement are concurrent, with enormous impact in lowering costs and risk, and trade finance (letters of credit, acceptances) is on target for revolutionary changes. Automotive – consumers could use blockchain to manage fractional ownership in autonomous cars… Zipcar for all. Elections – constituents could cast ballots by phone or computer, resulting in immediately verifiable results. Healthcare – protected health information could be shared with multiple providers without the risk of a privacy breach. When will we see it being adopted? There is no reason to expect that blockchain adoption will deviate from the shape of the traditional adoption curve of new technologies. The timeline on which we draw the curve could be anything. Early adopters are those that always seek an edge, mass adopters will wait and see, and followers will show up later for a variety of reasons. Those pursuing initiatives so far include Walmart, Kroger, Dole, Nestle and Unilever with an interest and impact on food safety. 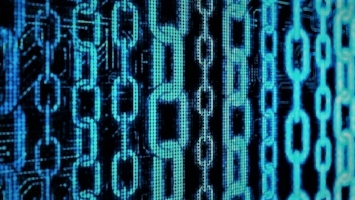 UBS and several other global banks are developing a blockchain-based platform to support trade finance, where spend and ris management could be a game-changer. Employing blockchain shrinks the costs associated with online transactions, while concurrently increasing legitimacy and security. Businesses can authenticate users and devices without the need for a password. This eliminates the human factor from the authentication process, preventing it from becoming a potential attack vector. Lower transaction costs: By eliminating third party intermediaries and overhead costs for exchanging assets, Blockchain has the potential to greatly reduce transaction fees. There are many organizations working to facilitate the adoption of blockchain. Two of the more prominent are IBM and Microsoft, and finding out about their approaches could spark an initiative to pilot blockchain for your business. It makes sense to leverage larger organizations with deeper investment pockets. No matter how you proceed, start building competency and piloting small initiatives with your trading partners now.